Bitcoin sells off aggressively as investors cash out before Christmas. The sell-off spreads into other cryptocurrencies. 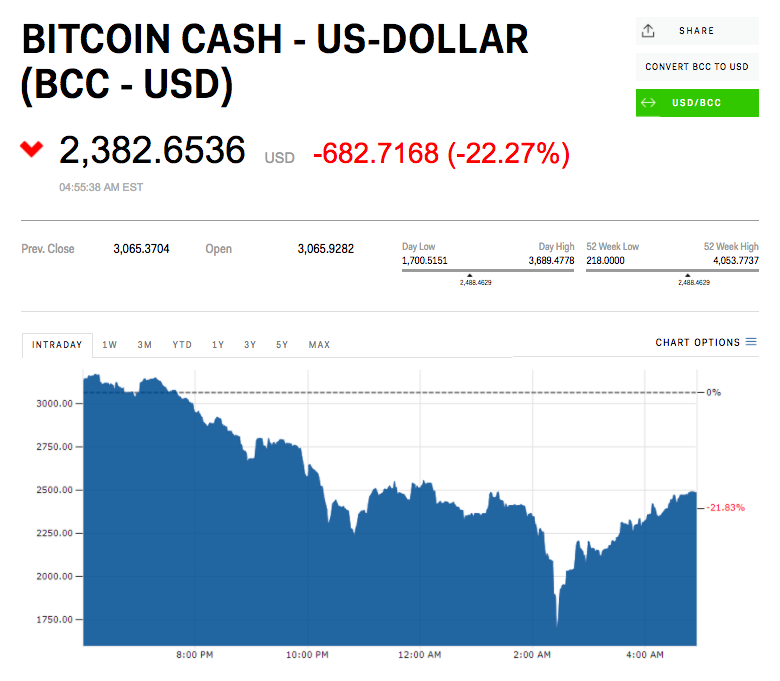 Litecoin, ethereum, and bitcoin cash all see losses of double digit percentages. 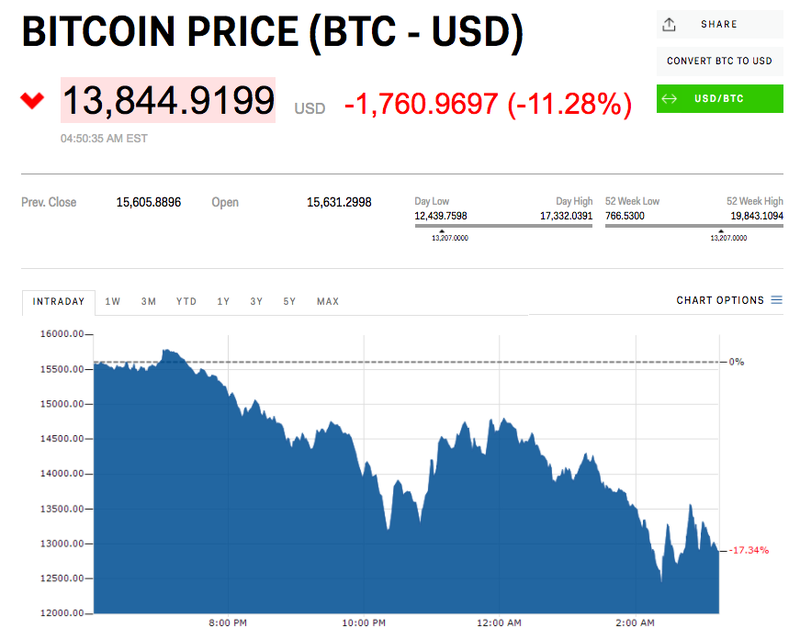 The price of bitcoin crashed overnight with no apparent catalyst, with the general lack of liquidity in the market exacerbating that move and wiping as much as $3,000 off the value of the cryptocurrency in early morning European trade. Earlier in the week, bitcoin’s price had started to plunge after one of the founders of influential website bitcoin.com announced that he was selling his stake in bitcoin. “It’s clear by now that the entire crypto market is in a massive retracement,” Mati Greenspan, a Senior Market Analyst at trading platform eToro said in an email a little earlier. 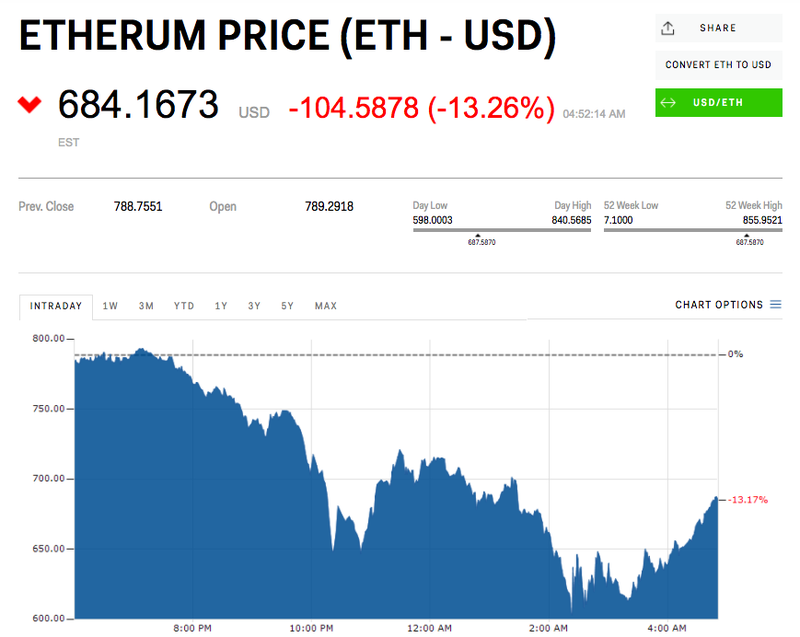 “It started with a bit of profit taking but it seems that the FUD [fear, uncertainty, and doubt] is now gripping the market.” While bitcoin’s drop was the first to accelerate, its fall has spilled into other major cryptocurrencies, with the likes of ethereum and bitcoin cash also seeing huge losses during Friday’s trading session. “Looking at the overall cryptomarket, we’re now 25% from the top. Timewise we’re back to the levels last seen on December 13th. All in all, not too much damage so far but the fear is certainly setting in with many and there is a possibility to go further,” Greenspan said. 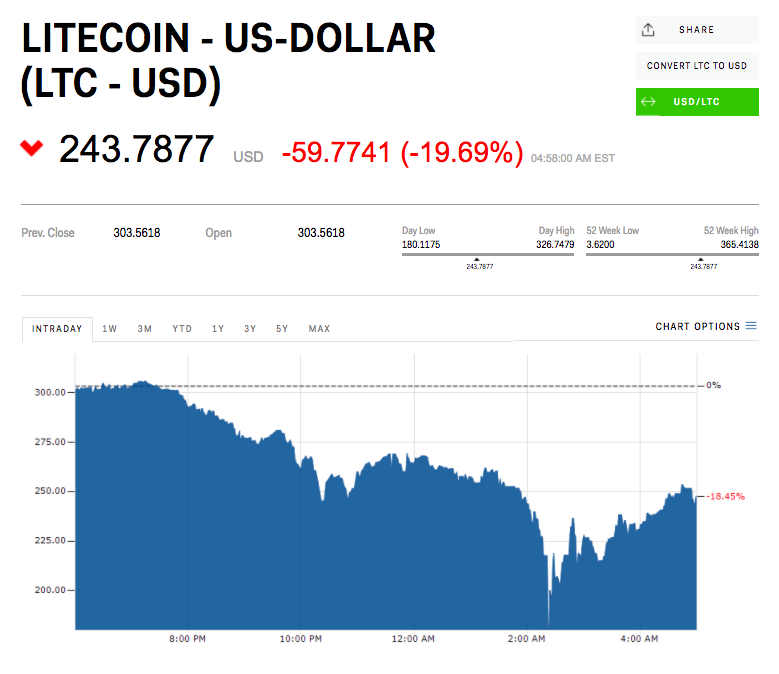 Litecoin, which saw major news earlier in the week when its creator Charlie Lee exited his entire stake in the digital currency, citing a “conflict of interest,” has also plunged on Friday. “Has the bubble finally popped? It’s hard to see the bell tolling just yet. Large price swings have become so normal that it’s hard to decide – we can easily see this market bounce back in very short order,” Neil Wilson, an analyst at ETX Capital noted.